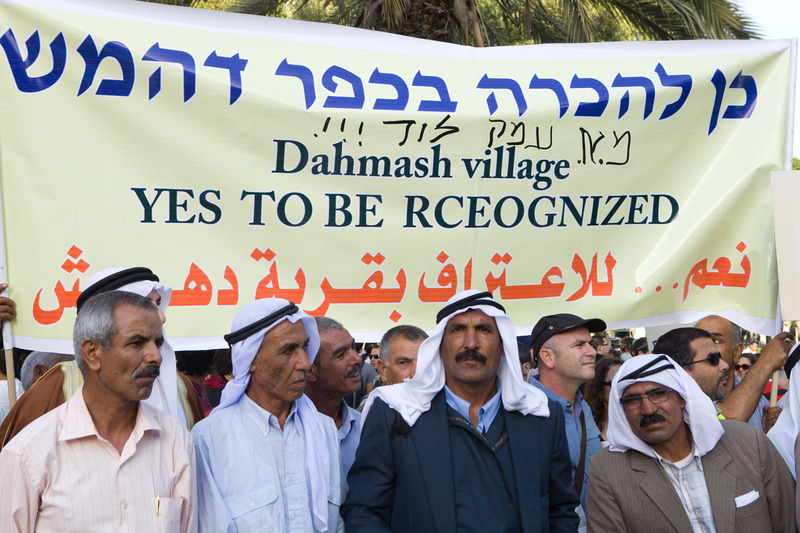 Rachme: A Bedouin Village in the Negev Has Been Recognized. Bedouin families from the Azazme tribe have been living in the area that is now next to the town Yeruham since the Turkish era. After the war in 1948, some 17 families were left in the village Rachme, and these were over the years joined by other families of the tribe who were removed from their lands in nearby areas. Today the village has some 1,500 residents. The village was specifically mentioned in the Goldberg Report as an example of a village that should be recognized by the State. In light of this, the village council turned to Bimkom in 2009, for help in preparing documents of planning principles to show the planning authorities the needs and wants of the residents for their village. After production of these documents, we assisted the people of Rachme in advocating for recognition vis-à-vis ACBA and the State. As of early July 2014, the village of Rachame has been granted recognition by the National Planning and Building Council. This still requires a government decision, but this should be forthcoming. The adjacent town of Yeruham has agreed to transfer 1,500 dunams of land to the jurisdiction of Rachame, so that it will be able to plan for future development. We are continuing to work with the community to ensure that there will not be further demolition, and that there will be significant resident involvement in the planning process.